Do you dream of making items to sell? Or are you selling crafts but losing money? For several years, I made home decor items to sell to local shops. I made lots of mistakes and little money. After a couple years of losing money and time, I made a DIY project planner. It consisted of various pieces of paper. Using it repeatedly it grew into a binder full of money making projects. Using the planner help my understanding of labor costs, creating multiples and market value. You’ll feel confidence telling store owners and customers the price of your wares. 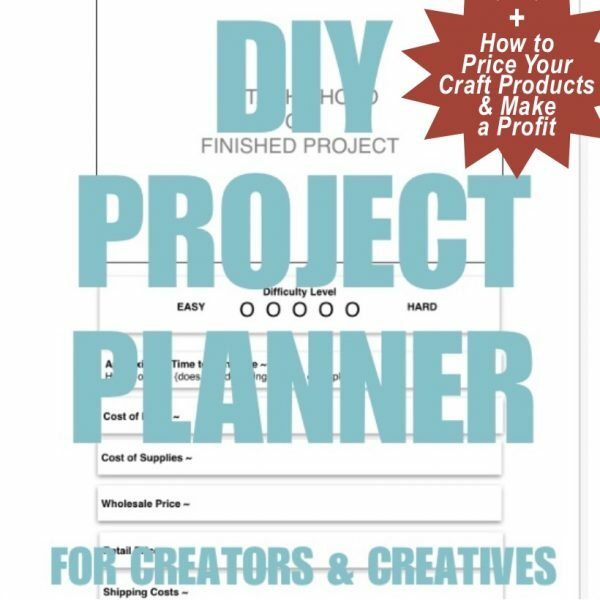 Plus for a limited time, you’ll receive “How to Price your Craft Products & Make a Profit” for free.